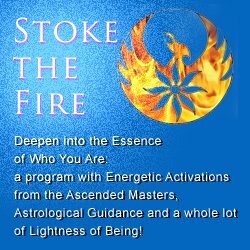 FAQ about an astrology and/or tarot session? What exactly happens in a session with Pamela? Astrology sessions are historically referred to as “readings” because a good astrologer seems to be able to “read” the client like a book. If you’ve given Pamela your birth data, she knows before the conversation begins a great deal about your orientation to the world around you, as well as your past, present and future preoccupations. At the time of the appointment, Pamela knows what area of your life may be receiving the most emphasis or attention. Sometimes this manifests in desire, stress or focus. Sometimes you’re well aware of the issue, at other times you haven’t quite put your finger on it. Almost always a session validates your experience and ideally gives you constructive information on how to proceed. Pamela does not tell you what to do or which choice to make, but she does offer clear direction on the consequences of your actions. Pamela considers the session “sacred space”. Anything that is discussed is considered private. Although you may bring up the experience or revelations in a public forum, Pamela never will without your lead. Will I learn anything that I don’t want to know? There are times that life situations are daunting, but astrology can be quite specific on when something began and when it’s likely to end. I certainly provide information that is revelatory. Whether or not you want to go deeper down a particular avenue of insight, is totally up to you. This is a conversation; the ideal is for you to receive what you came to know. If you are willing to be an active participant in your life’s choices, then you will most likely find the session empowering. Can I ask you about another important person in my life? Believe it or not, every person in your life is reflected in your horoscope: your spouse, parent, child, boss, sibling, neighbor, etc… As a result, the blueprint of your life’s journey (a.k.a. natal horoscope) enables me to discuss at length those people closest to you- specifically how YOU relate to them. This provides insight as to how you might modify certain behaviors to produce different results. I can look at the birth information of other people, to provide you with understanding on how you can relate to them more effectively. I will not, however, disclose information that violates an individual’s privacy when s/he is not in the room. What’s the difference between coaching and an astrology session? Sometimes, not much, it depends what the client’s needs are… often a session is similar to a relevant coaching or insightful therapeutic conversation. Because of her profound understanding of the language of astrology, Pamela can often get to the heart of an issue or conflict very quickly. Clients book an appointment when they want perspective in making a job decision or to plan strategic timing for a launch. Others want an objective take on interpersonal situations or the road ahead. Pamela does support a handful of clients through designated ongoing coaching, usually in 3 month increments for specific goals or projects. Are there 12 signs or really 13 signs in astrology? There are really 12 signs in astrology. The Earth’s rotational axis wobbles full circle relative to the backdrop stars in about 26,000 years. The ancient astronomers (who also practiced astrology) knew this. Because they were aware that the equinox points would not remain constant to the stars of the Zodiac, they designed a template of twelve 30° increments to divide a 360° zodiacal wheel. They drew on the mythology of the constellations to inform the specifics of the signs. Yet they projected that the March equinox point drifts westward (along the ecliptic) through the constellations of the Zodiac at about one degree in 72 years. The reality is that the March equinox point passed out of the constellation Aries and into the constellation Pisces in 68 C.E. Nonetheless, astronomers call that equinox point the First Point of Aries, or 0° Aries. From that point, the 12 signs follow in zodiacal sequence at equal 30° increments. So the signs do not occupy the same space as constellations.